Listen to the Songbirds of Madame Ho! ​The fabulous Mimu Tsujimura, Keiko Shimosato Carreiro, and Alan Yip rehearse the Crochet Song from Madame Ho. They are amazing, so wonderful to be working with them and the rest of the cast who you can hear her singing as well. Stay tuned! 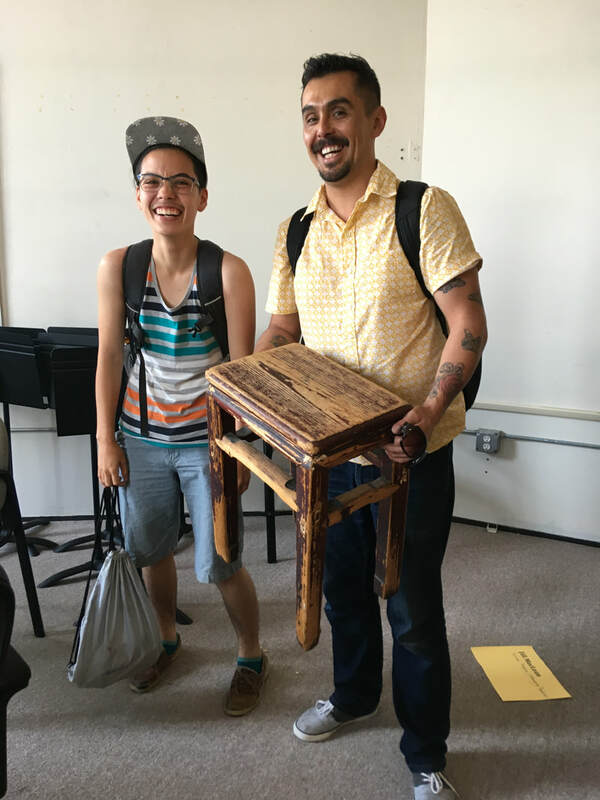 Very exciting to see how obsessed scenic designer Randy Wong-Westbrooke, propmaster Hector Zavala, and costume designer Keiko Shimosato Carreiro are over a small weathered Chinese bench Eugenie picked up from a sidewalk sale years ago. Must take a photo of this bench, made without nails, and post it! Randy Wong-Westbrooke and Hector Zavala admiring the Bench.